It's easy to get caught up in a "doom and gloom" narrative in today's unsettling times. Local political uncertainty. Exchange rate and petrol price woes. A troubling geopolitical climate at a global level. Yet, if you take a second to look past the widespread negativity, it’s possible to identify multiple opportunities for economic growth in 2019. While it’s poised to undergo the next phase of its own evolution next year, the ICT sphere is simultaneously enabling positive transformation for the South African business sector as a whole – and organisations of all sizes. South Africans tend to be harder on themselves than they should be. Because of that we downplay or flat out ignore positive signs – like the arrival of Microsoft Azure data centres and Amazon’s AWS Direct Connect on our shores. These local expansions are powerful and encouraging indicators that the international business community is confident about the South African economy. They see our global value and are prepared to invest in the country. Local ICT players are also coming to the table. Expect providers to maintain a pro-growth mindset in 2019, looking for and making acquisitions right from the start of the year, in South Africa and other key growth regions on the continent. While these moves will strengthen the position and market offering of these companies, benefits will also naturally extend to customers and business partners. Meanwhile, any expansion in the sector would result in much-needed job creation for suitably skilled individuals. The benefits of cloud-based business solutions have been discussed for some time, but with the opening of local data centres, and the cloud moving closer to the end users, theoretical discussions look set to become mainstream reality in 2019. 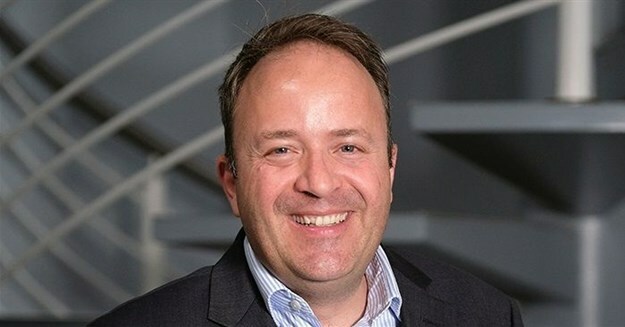 Corporate South Africa no longer has an excuse, with digital tools more easily available (instead of being fully a continent away) to revolutionise the customer experience. This shift is especially relevant for the healthcare, hospitality and financial solutions industries, where real-time data access and management is fundamental. A greater uptake of cloud solutions also has competitive advantages for SMEs – a sector earmarked by Government’s National Development Plan to provide 90% of the nation’s 11 million new jobs by 2030. As the nature of work changes fundamentally to a gig economy, and participation on global hiring platforms like Upwork becomes commonplace, if not essential, the ability to take advantage of budget-conscious, scalable cloud services will make small-scale enterprises more agile, and streamline the collaboration process. This would in turn lead to better employment prospects for many South Africans. In the digital age, internet access is a right (backed by UN resolution since 2016). While the digital divide is likely to remain an issue in South Africa for some time, 2019 will see high-speed broadband internet reach more of our citizens, opening the door to economic opportunities on a local and global scale no matter their location. With South African metros and surrounding suburbs fully “fibred up,” 2019 roll-out will reach Tier 2 towns, like Harrismith and Heidelberg, and the businesses and consumers who call those centres home. There have already been preparatory moves to strengthen national long-distance networks, like Seacom’s recent acquisition of FibreCo which will help to light the dark fibre routes along the country’s national highways. Even if initial sign-ups in these towns are targeted at affluent customers, greater capacity and availability will drive down prices across the board. Many providers of wireless Internet in these areas utilise a fibre backbone, so improved connectivity will see the benefits passed on to their customers too. Following high-profile data breaches in 2018, and a sense of increasing worldwide threats (both cyber and offline), security will dominate ICT discussions. This year has proven that no company is exempt from hacks and other risk vectors, and therefore they should have a comprehensive security strategy in place to safeguard their business. Looking at the ISP industry, meanwhile, connectivity in South Africa has become commoditised, with the number of providers mushrooming. In this highly competitive context, security offerings are going to become major differentiators, along with other managed services. Internet provision and a satisfying end-user experience are no longer going to hinge purely on speed and bandwidth scope, but spotlight a more holistic approach to connectivity and digital solutions. Finally, with more assertive, active leadership at a national level, South Africa may finally see moves in regard to long-discussed ICT policies, like the WOAN (Wholesale Open Access Network) proposal. Although such policy white papers have greater repercussions for mobile networks than fibre providers, any attempts to break open the greater market and foster a sense of competition will benefit the larger sector and, ultimately, consumers. Key, though, is that any telco policy needs to be supportive and crystal-clear if it is to have its intended transformative and growth effect. There will be many challenges in 2019, of that there’s no question. But by changing your perspective, and maybe squinting a little, it’s possible to view the year ahead for the ICT sphere, and broader South African economy, in a far brighter light than expected.